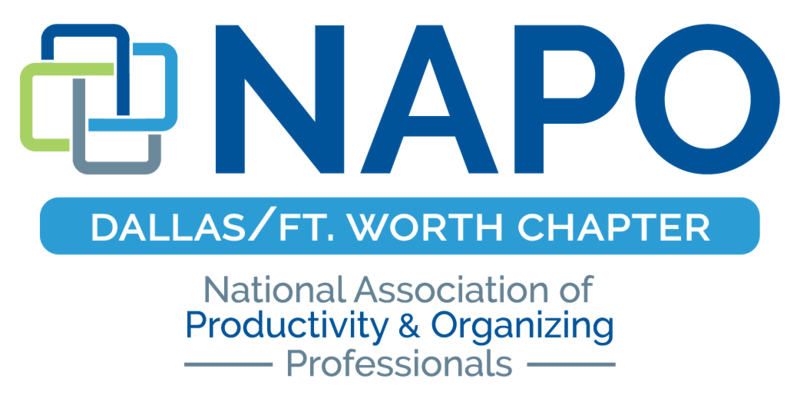 We would love for you to be part of NAPO-DFW’s vision as we connect and support professional organizers and productivity consultants across North Texas. Our chapter is the premier place for professionals within the industry to come together for educational programs, shared resources, and networking opportunities. We have benefits (see below) that speak to the seasoned veteran as well as to someone who is just beginning a career as a professional organizer or productivity consultant. 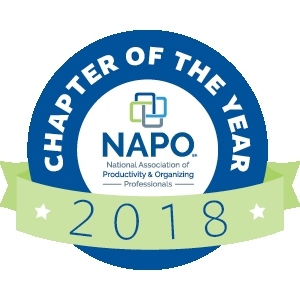 Please note that you must already be a member of the National Association of Productivity and Organizing Professionals before you can join NAPO-DFW. You will need your NAPO member ID in order to complete your NAPO-DFW application. Be sure to check out our FAQs if you are contemplating becoming a professional organizer or productivity consultant. If you are ready to become a member, click the “Join Now” button for more information. Feel free to contact our Membership Director at membership@napodfw.com if you have any questions. The Chapter holds an annual drawing during membership renewal time and gives away a one-year membership. Every time a member attends a NAPO-DFW Chapter meeting, volunteers for a NAPO-DFW sponsored event, or serves on a committee, the member’s name goes in the drawing.